Spend an exciting day exploring my new beading technique – Hubble Stitch. This stitch produces beautiful, lacy textiles in linear form and exciting shapes in three-dimensions! We will weave beadwork that curls, waves and spins in vortices; we can widen and lengthen it, embellish and tube it. There are endless possibilities. 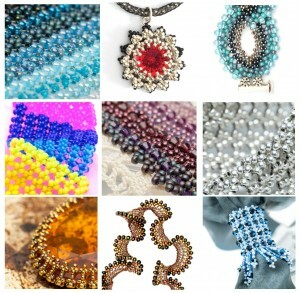 Join me for a brand new beading experience – let’s Hubble!